I almost hate to post this. 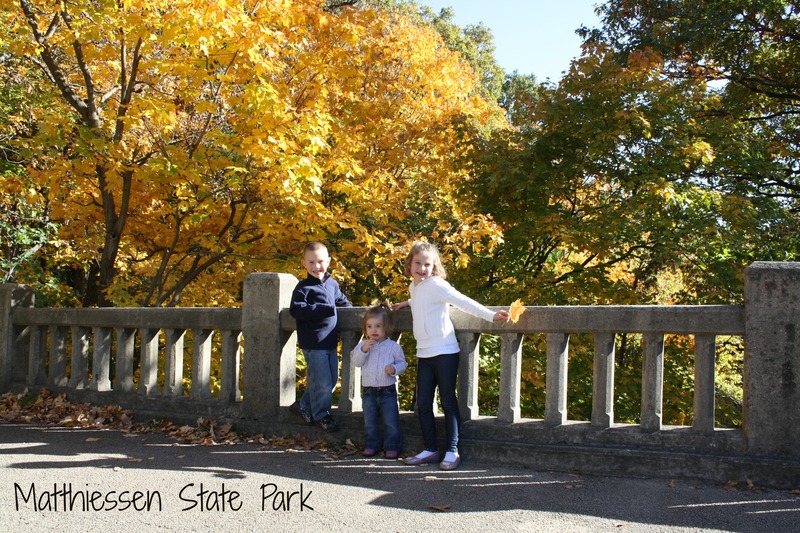 I love that most people think of Starved Rock State Park and not Matthiessen when deciding which park in the Illinois Valley to visit. When visiting nature, I like to not be surrounded by hundreds of people. My own three children provide enough noise as it is. One particular place that holds a special place in my heart is the bridge at the entrance by the Deer Park Golf Course. My brother and his wife got married there back in October of 2001. It is also about 5 minutes from our house. This is our entrance of choice. I like starting on the bridge and either just walking a little ways up the paved path and back again if we want a short walk or being able to hike all the way to the lower dells area from there. If you visit after some rain, the waterfalls are quite amazing. I love going down into the lower dells and feeling like I’m far away. Sometimes it is hard to believe that this amazing place is just a few minutes from my house. Anyone visiting the Illinois Valley should visit Matthiessen State Park, but if you would rather visit Starved Rock, that would be okay with me. After all, I am hoping that Matthiessen continues to stay overshadowed by it’s more popular neighbor. Ok…so I realize this a travel blog but I decided this was just too good to not pass along. Now, for those of you who don’t play Candy Crush, just stop reading now. If you do play, you are not going to want to miss this. Next time you are out of lives and you just can’t wait to play again, you don’t have to. Just Time Travel. Go into your phone or ipod SETTINGS, then go to GENERAL, then DATE & TIME. Turn SET AUTOMATICALLY to OFF. Then go to SET DATE & TIME. Manually set the time to a few hours in the future. 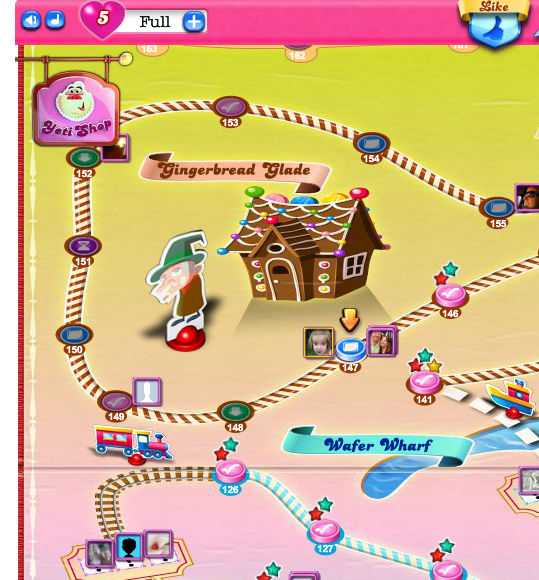 When you go back into Candy Crush, you will have lives. So, no more asking your Facebook friends for more lives and no more staying up 30 minutes longer than you wanted to. Just don’t forget to go back in and change your clock back to set automatically, especially if you use the alarm and need to get up in the morning. At the Verve Hotel, the front desk staff was very friendly and polite. We checked in and made our way to our room. We were on the first floor which at first I thought would be great because we wouldn’t have to mess around with the elevator but as soon as I got to the room and looked out the window, I rethought that. There was a fence a few feet out of our window. Luckily we didn’t plan to spend much time in the room or in the hotel so it really wasn’t an issue. If you are making a reservation here, you should request an upper floor room. I’ve read that the views of the Manhattan skyline are great. Our room was clean and spacious. There was plenty of drawer space if you like to unpack and there was a small closet with robes inside. The bathroom was clean and functional. The beds and pillows were comfortable. The included breakfast each morning was a nice way to start the day. There was a hot drink machine outside the breakfast room which was available all day. Being a non-coffee drinker, I was glad that it also included hot chocolate. We started and ended each day with hot chocolate. It was really good. There also was a water machine which was nice for filling water bottles to take along or just to have a drink at breakfast or to take to the room. In the breakfast room, there were some things the same each day like juice, milk, cereal, bagels, donuts, oatmeal, a waffle maker and then there were two hot items that changed. There were scrambled eggs, sausage, bacon, veggie omelet, and egg white omelet. We didn’t spend any time in the rest of the hotel other than our room and the breakfast room. 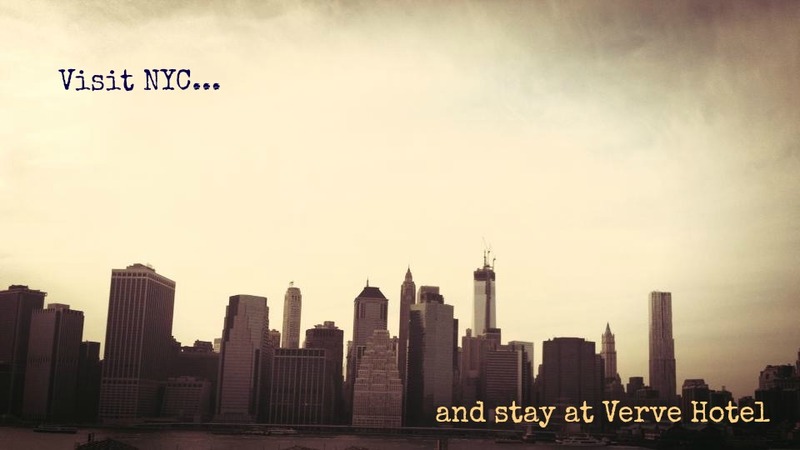 The Verve hotel is convenient to two subway stops. The closest one is the 39th Avenue stop which is on the yellow N, Q line. The only issue we had with that one is that we had to ride the line to the north then transfer and come back through because the train didn’t stop at that station when it was heading south. I think that was just at certain times of the day but it would be something to look into if you are planning on using the subway (which I would highly suggest). The other station which was a bit further away but still an easy walk was the Queensboro Plaza which is on the yellow N, Q and purple 7. The yellow N, Q would take you to Central Park while the purple 7 would take you to Grand Central Station and Times Square. We used both of those. If you are looking for an affordable hotel near to the city and convenient to the subway, the Verve hotel is a great choice. Through hotels.com, we paid just $125/night. If you haven’t been before, I would recommend the 9/11 Memorial for any visit to New York City. It is such a powerful, moving experience and a nice way to reflect on American history and a way to never forget the victims. 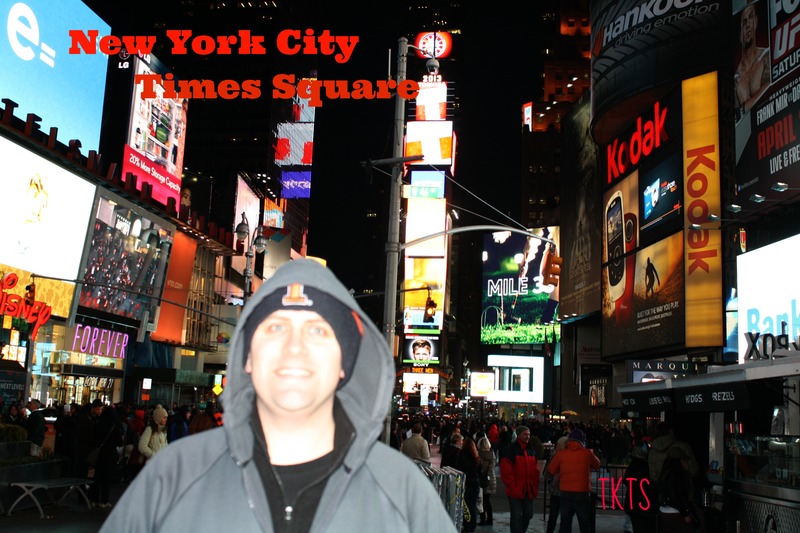 When Derek and I visited in April 2013, it was a little odd on how to get tickets. I read online that we had to buy the tickets ahead of time online, so we did. Since we didn’t know exactly when we were going to be there, we ordered them (and paid an online fee) while eating a late lunch nearby and therefore didn’t have a printer to print the tickets. Since we couldn’t print them, we had to go to the 9/11 Memorial Preview Site to get the tickets. It turns out we could have gotten tickets there without purchasing online. Our entrance time would have been 30 minutes later, however. Right next to the Preview Site is St. Paul’s Church. We went inside where there were displays from September 11, 2001 and walked the grounds outside. After that, we headed over to the 9/11 Memorial. It turns out we could have gotten our tickets there as well, but there was quite a long line. We were able to go in the short(er) line. There is airport type security and then a short walk to get to the site. 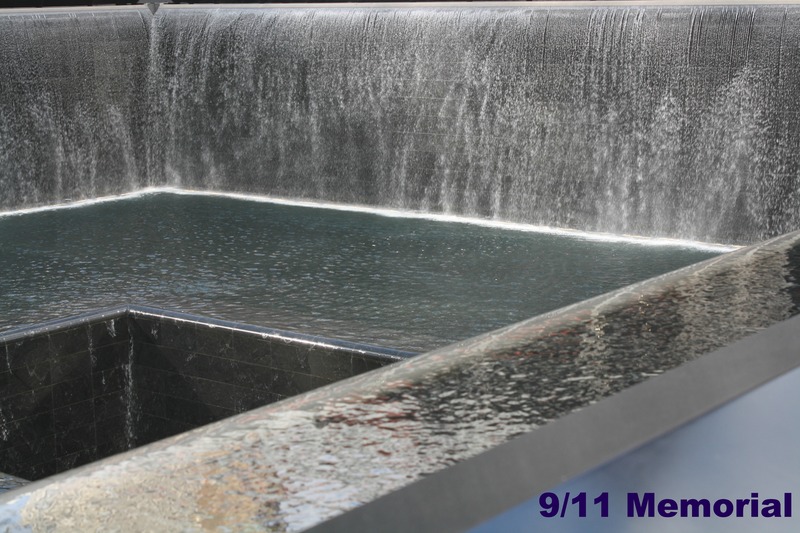 Once you are in the site, you are able to walk around and see the two waterfalls which are in the footprints where the twin towers stood and the edges are engraved with the names of the victims. You can also see the Survivor Tree which is a pear tree that survived the attacks and was rescued and replanted. I was glad that I was able to visit without my children and have some quiet time to reflect. When my children are a bit older, though, I will take them there and try to explain what that day was like. The museum was not open when we were there either, so I would like to be able to visit there as well. After viewing the grounds, we went to the 9/11 Memorial Museum Store and were able to see Paul Jr.’s 9/11 Memorial Bike. There are also gifts and souvenirs that you can purchase that help fund the building of the site. 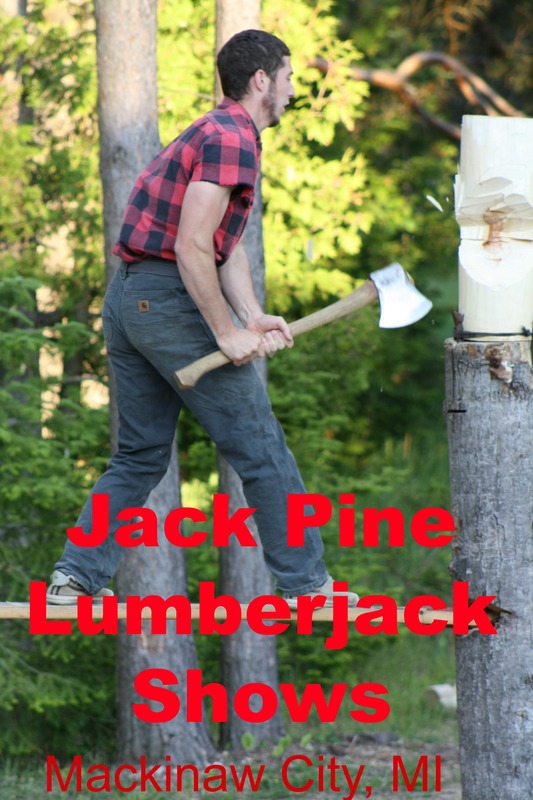 When I was about 9 years old, my parents took my brother and me to a lumber jack show when we were in Oregon. I remember it still to this day almost 25 years later. One year ago today, when looking for things to do, we found a lumber jack show and Derek and I couldn’t wait to take the kids. It was a small event with just two competitors but it was very well done. 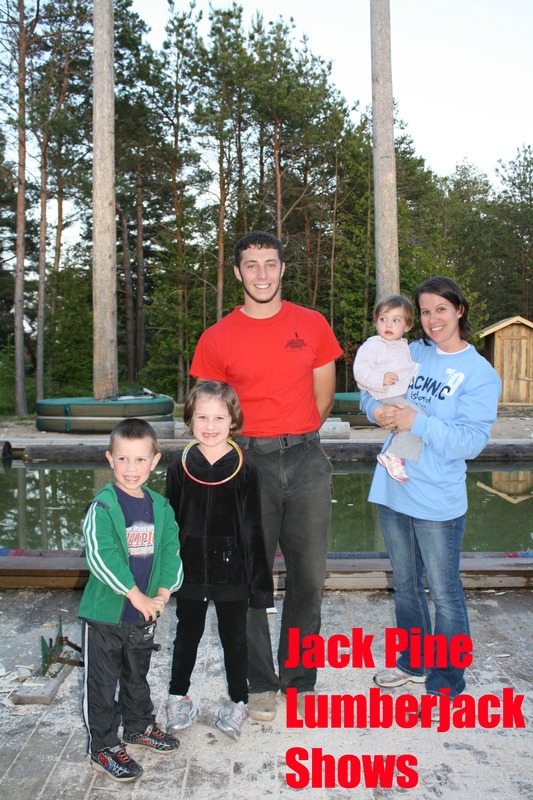 Derek and I enjoyed it as much as the kids.There were different events that included log rolling, sawing, chopping, and some humorous commentary as well. If you are in the area, I highly recommend it. The kids and adults enjoyed it and had a great time! Last summer, we stayed at the Ramada Limited Waterfront in Mackinaw City, Michigan for two nights. It is a great choice for a stay in Mackinaw City, Michigan for a few reasons. One of those reasons may seem strange at first and that is that the Comfort Suites Lakeview is right across the street. What? 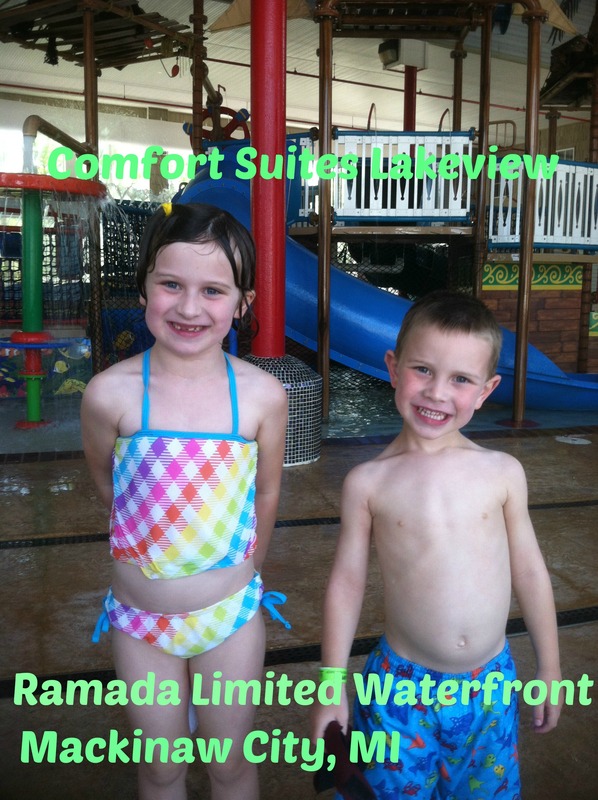 Well, as a guest at the Ramada Limited, you have access to the amazing waterpark at the Comfort Suites. We also ate breakfast there one morning. The location of the hotel is also great. It is located directly next to one of the ferries that goes to Mackinac Island. The Ramada Limited also has a small beach. It was a nice place to relax and unwind for a bit. The rooms are a bit rundown and outdated, but our room was clean and comfortable. Overall, we enjoyed our stay and I would choose it again for the price, location, and to see the kids have a great time in the waterpark.